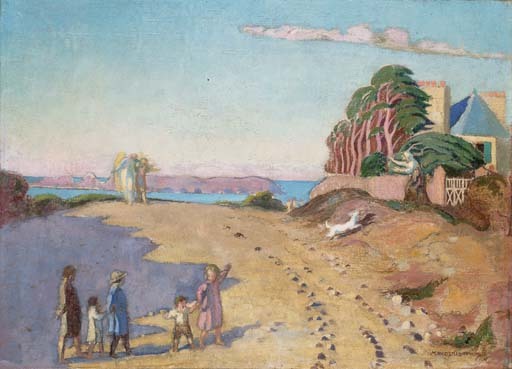 In 1918 Maurice Denis travelled through Switzerland, arriving in Perros, a village in Brittany, at the beginning of August. The present work depicts the road that leads to Trestrignel beach at Perros. The house on the right, which still stands is Frou-Frou, a villa built at the end of the nineteenth century for Mademoiselle Josset, a Parisian actress, who also commissioned the villa Silencio to the east of Trestrignel, which Denis acquired in 1908.